In 1974, the Greek military junta backed a coup in Cyprus that sparked a Turkish invasion of the island. The Turkish forces advanced as far as the Atilla line, which is now the United Nations buffer-zone between the Greek and Turkish administrative areas of Cyprus. 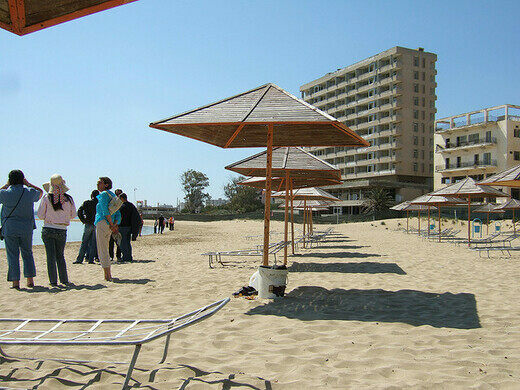 Located about two miles north of this buffer-zone was the beach resort city of Famagusta. 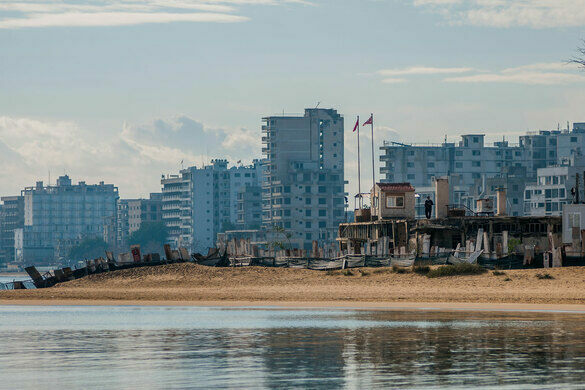 In the early 1970s, Famagusta was one of the most popular beach holiday destinations in the world and was a favorite destination of the rich and famous. It was known for its sunny beaches, glamorous shopping and dining experiences, and excellent luxury hotels. But on July 20, 1974, at the height of the summer tourist season, the impending Turkish invasion suddenly drove all 39,000 inhabitants and hundreds of guests out of the city. Fearing a massacre, they fled and after a short battle, the city was taken by Turkish forces. Turkey remains in de facto possession of the city despite a bill attempting to return it to Greek control. The city is now home to around 40,000 inhabitants. 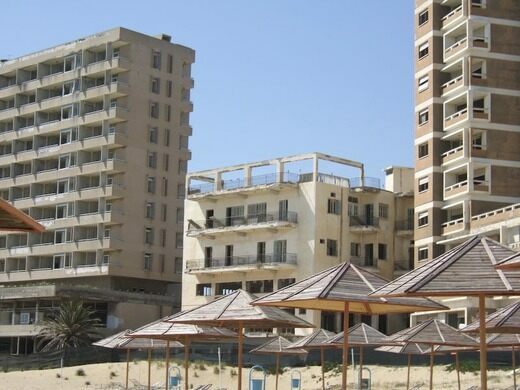 The Varosha quarter, which was the tourism center of the city, has remained abandoned since the Turkish government fenced it off immediately after the conflict. 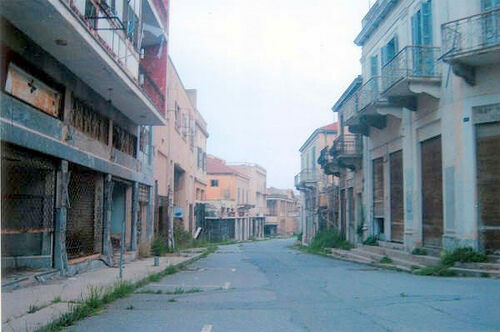 Today, the district stands as a monument to what the world would look like without its human inhabitants. Tables are still set for breakfast, model 1970s cars still sit in their garages, and designer clothing still hangs on the racks of hastily abandoned shops. 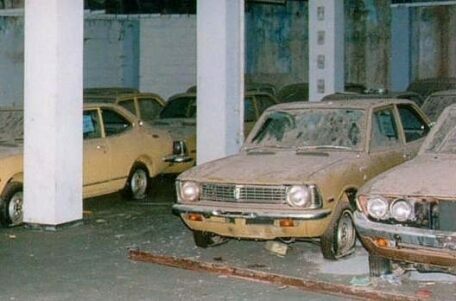 Nature has begun to take over, and many of the buildings are slowly collapsing, the cars rusting, the pavement cracking and overgrown with weeds. The Varosha Quarter is only accessible to Turkish military forces, the occasional journalist, and UN officials. It is also being used by writers and scientists as an ongoing study of how cities fare after their inhabitants have disappeared.